Tomorrow is Smush's special blessing day. In my church, we give our babies a name and a blessing when they are infants. The blessing is performed by a male who has Priesthood authority. It is usually given by the baby's father or a close male relative or friend. Other male relatives and friends who hold the Priesthood can stand in the circle and assist with the blessing. 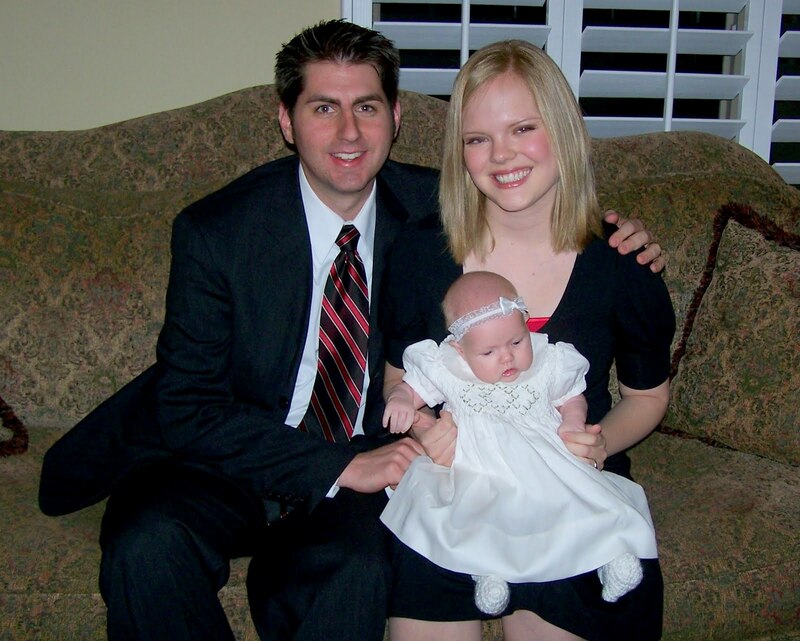 An LDS baby blessing is not the same as a baptism or christening, but it is similar. The person performing the blessing simply states the baby's name (to add the baby to church records) and then blesses him or her with health, happiness, success, strength and other things as the giver sees fit. No two baby blessings are the same, but they are all special. 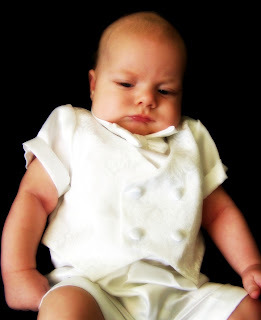 Babies don't have to wear white when they are blessed, but Smush will be! Check out his tux. Snazzy. Here's Bubby on her blessing day, November 24, 2007. We blessed her at my parents' home. I remember the day because it was also my Granny's birthday, and she was there for the blessing. So was my uncle CP. Want to learn more about my faith? Click here. I'm wondering if a white tutu-dress I make her would be too much for a blessing dress? ... Maybe. I wish we had one that was in the family or something, but we don't. Having fun getting caught up. What a cute outfit! And how awesome of you to share it this way.